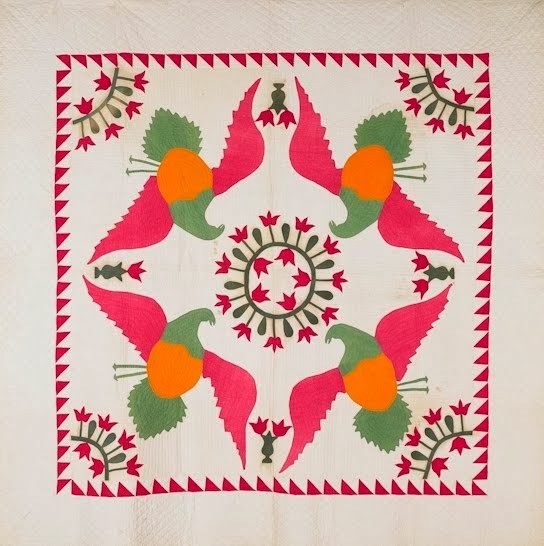 What an interesting vintage star quilt. 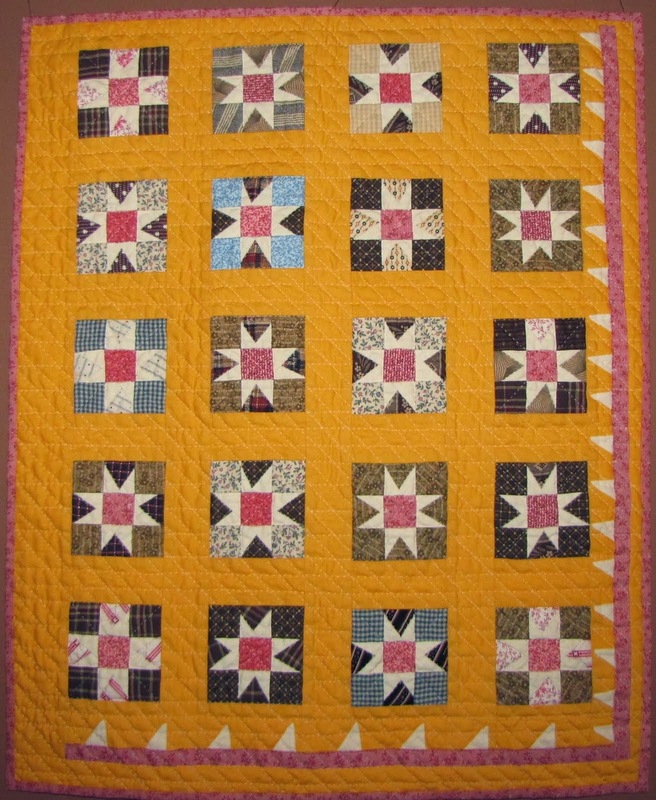 Got to love all that orange and the quilter who boldly used orange thread for hand quilting. This quilt was part of the "Behind the Scenes" tour of the Johnson County Museum (Overland Park, Kansas). The tour was with MOKA (Missouri, Oklahoma, Kansas, Arkansas Quilt Study Group) where I was the featured speaker and did two antique quilt lectures/trunk shows. 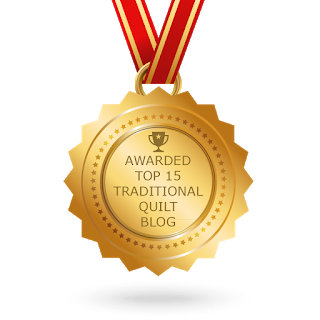 The coordinating flannel plaid was a great finish to the quilt. The colors look different in each photo. Which would you say was the most true to the actual colors? They are rather vibrant no matter which photo is accurate. Just curious.About what time period would this quilt fit? I think the truest colors are on the last/full shot. I think it is about 1950.